It was a fun, yet exhausting week at Madison+Main, as we celebrated the return of football. The Redskins invited Brady’s Boys aka the New England Patriots to RVA, but more importantly, the Alberta Smith Sharks began preseason conditioning. All of this meant, I spent a lot of time on the gridiron this week. This also means I was smiling a lot, since I’ve had nothing to smile about since February 2nd, when football ended. 2-4-6-8 who do we appreciate? OUR CLIENTS! Monday, August 4th: On Monday we had very productive Creative Concept sessions for Village Bank and Yard Works, and met with Susan and Suzanne at Virginia ENT in the afternoon. Jessica joined me and introduced herself to the VA ENT team, and we worked on a 4th quarter marketing plan for the good docs at Virginia ENT. The practice is also home to Total Hearing Care, Central Virginia’s leading group of audiologists. My grandpa had a hearing aid. My dad has had five sets of hearing aids (the dog keeps eating them) and someday–soon–I’ll need a hearing aid too. And I can guarantee that I’ll be visiting the Total Hearing Care center at Virginia ENT. Seriously folks I’m not buying my hearing aid at Costco. 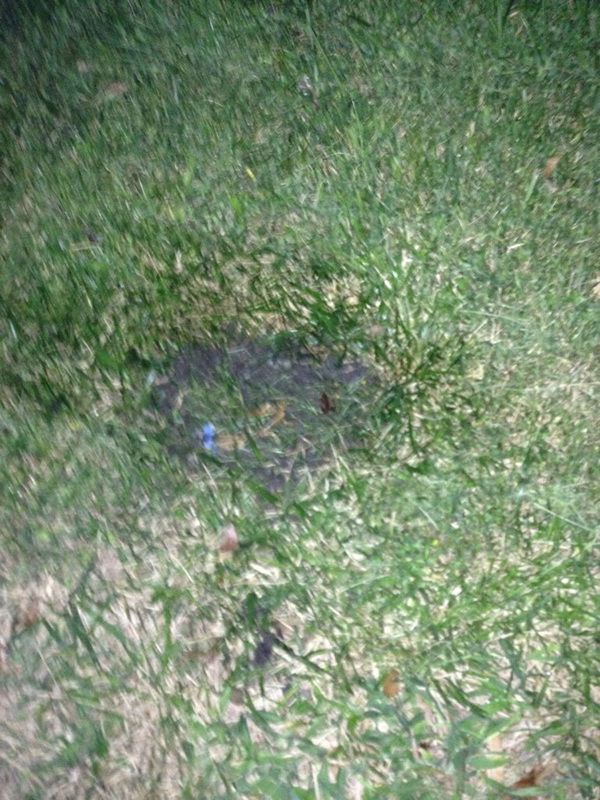 My wife Sue paid a guy $200 to dig up a bee’s nest in our front yard. I‘m in the wrong buzzness. Tuesday, August 5th: An early morning meeting Tuesday with a client meant missing the Midlothian Rotary meeting, but I recently found out I could make up the meeting online. After 11 years in Rotary, I’ve never been able to make perfect attendance, but now I have no more excuses. On Tuesday we welcomed a bright young lady to Madison+Main World Headquarters named Maddie Coder, a rising senior at Maggie Walker Governor’s School. Maddie is doing her senior mentorship project with us by shadowing me for a few weeks. What will she learn by shadowing me? 6pm: Football practice. More yelling. More sweating. Wednesday, August 6th: On Wednesday we had a very productive meeting with our friends at the Lightning Protection Institute, and we are close to beginning their new website project. We have really enjoyed working with Kim Loehr and her team. Check out the PSA we created for Lightning Safety Awareness Week here. I also had the chance to reconnect with friend and client Randy Seibert Wednesday, and we chowed down on some ravioli at La Grotta. It was good to catch up with Randy and find out about all the cool things he is doing these days. It was also good to be at La Grotta. The food is always spectacular. The chef doesn’t understand “lunch portions” and the restaurant is always cool and comfortable especially on a 92 degree August day. In the afternoon we hosted some unnamed business partners who are planning to take over the world. Stay tuned for an absolutely delicious announcement about our new joint venture, launching in September on the inter webs. 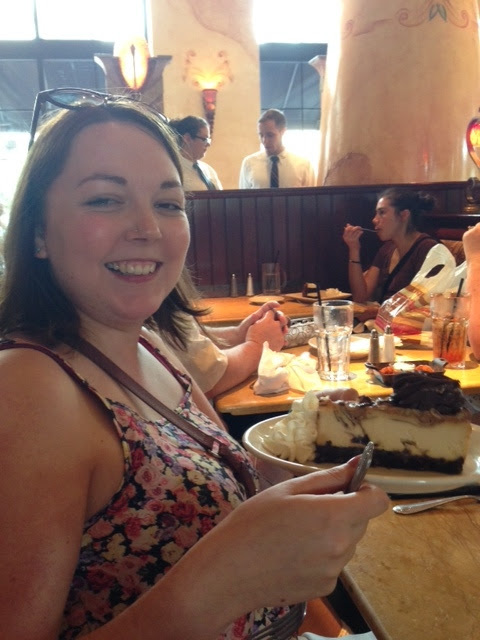 Our friend Leanne is visiting from the Isle of Man and I told her she had to eat this cheesecake for market research purposes. Thursday, August 7th: Friends of mine who read this report on a regular basis find fault with me for only writing about the fun stuff. Believe me, you do not want to hear about the 2.5 hours I spent Thursday morning reviewing monthly marketing reports, or the fact that I had to go to work 2 hours early to finish an RFP response. You also probably didn’t want to hear that my lunch date cancelled on me. And I was stuck eating Thai take out at my desk. On Thursday afternoon lots of other cool stuff happened, including our first phone conference with Cooper’s Hawk Winery & Restaurant. The Chicago-based company is landing in Richmond this Winter. I really believe that RVA loves food as much as it loves wine and Cooper’s Hawk will be the go-to spot in beautiful downtown Short Pump. Friday, August 8th: I am writing the Friday email without the assistance of super MarCom Exec Sarah Dawes-Murphy this week. Sarah is vacationing with her hubby in Rhode Island. Early reports indicate they are the only two people vacationing in Rhode Island this week. On a more serious note, Sarah’s birthday is tomorrow so wish her a very happy birthday by emailing her at sarahm@madisonmain.com or send your birthday wishes via Twitter [@dawesmurphy] … and guess what? Casey Crofton-Severinghaus is also celebrating a birthday tomorrow and don’t bother sending her a tweet [@severinghausC], Casey requests that you mail her cash and gifts. While in Target, I spotted this. 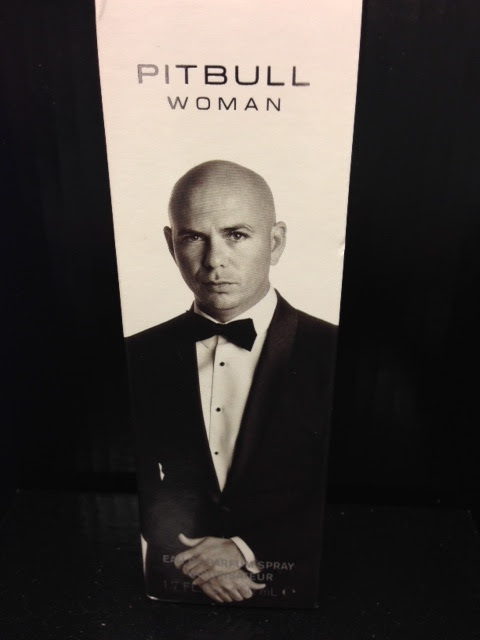 This is a cologne for women called Pitbull Woman. I can’t believe this product exists.